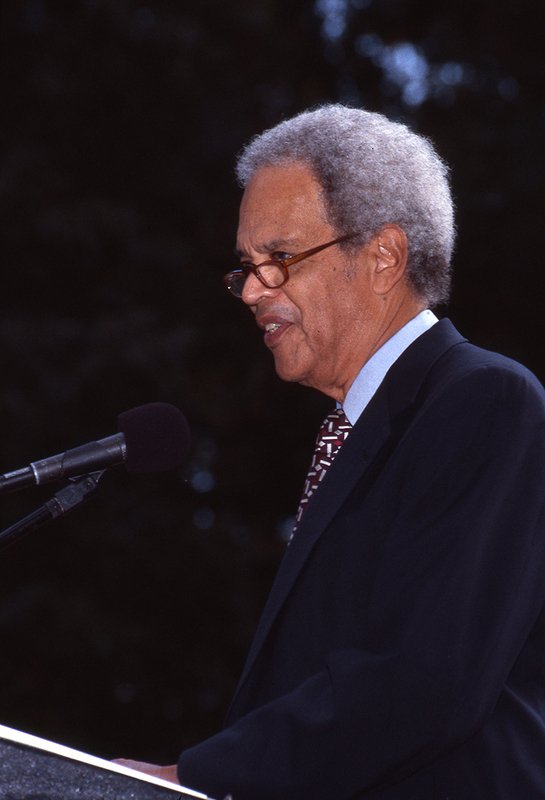 Robinson Professor Roger Wilkins speaks at a university event in September 2001. Professor Wilkins was formerly an assistant attorney general under President Lyndon B. Johnson. He later was a Pulitzer Prize-winning journalist for the Washington Star during the Watergate scandal. Wilkins was Clarence J. Robinson Professor for American History and Culture from 1988-2007. Citation: George Mason University Creative Services , “Professor Roger Wilkins, September 2001,” A History of George Mason University, accessed April 23, 2019, http://ahistoryofmason.gmu.edu/items/show/319.